DVD / HOST A SCREENING! MAR 6-14, Omaha, NE- Omaha Film Festival. 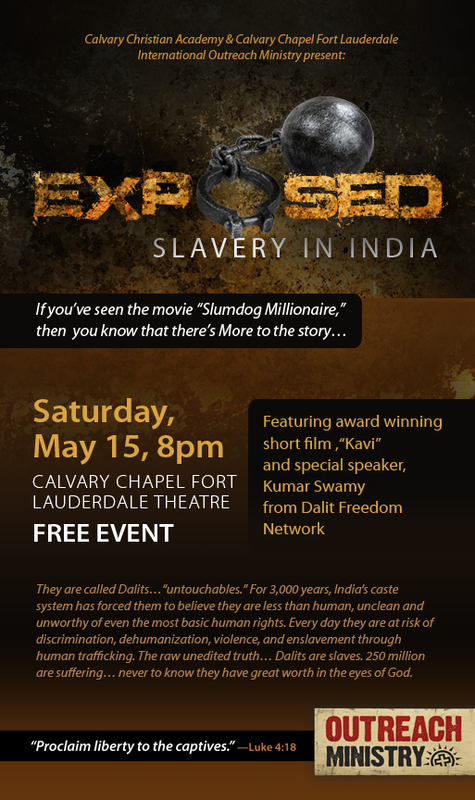 The School of Cinematic Arts and the USC Marshall Society and Business Lab presents a screening of KAVI followed by a panel discussion about the business of slavery. 6 pm screening alongside other Angelus Film Festival winners. This event is free and open to the public. 6-8 pm screening. 2168 Gold Room- Rayburn House Office Building. This event is open to the public. To see a map, please click HERE. Please RSVP to the FACEBOOK Event or email Contact@kavithemovie.com. Friday, Oct 16th @ 4:30 PM. Sunday, Oct 18th @ 3:30 PM. Monday, Oct 19th @ 7:00 PM. Tuesday, Oct 20th @ 6:45 PM. Wednesday, Oct 21st @ 3:15 PM. Thursday, Oct 22nd @ 1:30 PM. Friday, Oct 23rd @ 4:15 PM. Saturday, Oct 24th @ 1:15 PM. Kavi won the “Triumph of the Spirit Award” and we’ll screen the 35mm print along with the other fantastic winning films in this amazing theatre. Show starts @ 5:30. Cocktails at 4:30. Hooray! Kavi was voted as an audience favorite and we’ll have an extra screening Monday, June 30th @ 3PM. PALM SPRINGS INTERNATIONAL SHORTS FESTIVAL. So exciting to be a part of one of the top shorts festivals in the world! Sure to be wonderful audiences & fantastic films! FREE SCREENING of all Student Academy Award winning films at the Samuel Goldwyn Theatre in Beverly Hills (8949 Wilshire Blvd, 90211). There’s a morning program (9:30AM-12PM) and an afternoon program (1:00-2:45PM). Kavi will be the last to screen in the afternoon program. No RSVP required. Street parking or in nearby lots. STUDENT ACADEMY AWARDS CEREMONY! FREE & open to the public, but Tickets/RSVP required. They’ll announce the Gold, Silver and Bronze winners, and they’ll screen the Gold medal films for each category. A maximum of four tickets may be requested online at www.tinyurl.com/SAAtix, in person at the Academy box office, or by calling the Student Academy Awards department at (310) 247-3000, ext. 130. Doors open at 5 p.m. Samuel Goldwyn Theater, (8949 Wilshire Boulevard, Beverly Hills). All seating is unreserved.